If you've never heard of Thug Kitchen, odds are you've been sleeping cooking underneath a culinary and pop-cultural rock. If you have, you're well-familiar with the food blog's slang- and swear-infused approach to mostly vegan and vegetarian health-food recipes. 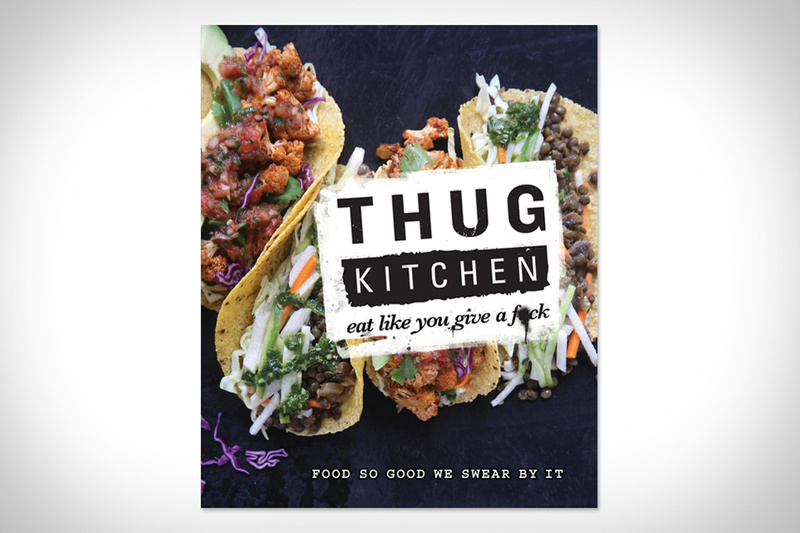 Now, Thug Kitchen: Eat Like You Give a F*ck is making the leap from digital to paper, giving you the ammunition you need to stop eating like crap and start feeling good. 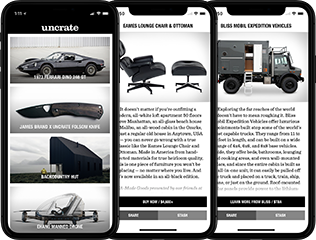 Packed with exclusive recipes and photos never seen on the site, cooking guides, and helpful shopping tips so you can ball on a budget. Much like the monolith changed the face of humanity irreversibly, 2001: A Space Odyssey forever changed filmmakers' approach to science fiction films for the better — introducing new ideas in the realms of cinematography, special effects, and more. And now with The Making of Stanley Kubrick's 2001: A Space Odyssey, you'll gain deep insight into the creation of one of the greatest science fiction movies of all time. This four-volume collection of hardcover books includes everything from film stills and behind the scenes interviews, to the original screen play with production notes from Kubrick and Arthur C. Clarke. Before you go filling your space with expensive, high-end furniture or just a crapload of Ikea, take a look at the projects in DIY Furniture. Weighing in at over 140 pages, this handy book features 30 different designs for everything from shelves and seats to beds and barstools, each of which can be made using simple techniques and materials you can find at the hardware store. With clear instructions accompanied by hand-drawn diagrams, you'll be building your own furnishings in no time. You never know when the whole world is going to hell, but you can make sure you're prepared with Defending Your Castle: Build Catapults, Crossbows, Moats, Bulletproof Shields, and More Defensive Devices to Fend Off the Invading Hordes. This tongue-in-cheek look at home defense offers up step-by-step instructions — complete with diagrams and photographs — on how to build a variety of implements, any of which are sure to keep you safe, and more than likely piss off the president of your HOA. It was only a matter of time before the trends of homebrewing and sustainability came together, making it possible to make your own beer with as little impact as possible — and since Sustainable Homebrewing: An All-Organic Approach to Crafting Great Beer there's never been a better resource for trying it yourself. So whether you just want to grow your own ingredients in your backyard garden, learn how to recycle your water, or even harness the power of the sun for your brewing operation, this book has you covered. By the time you're done reading it, you'll be ready to brew without waste, and improve your brewing skills while you're at it. It's one thing to enjoy the nuances of a great drink, be it a pint of beer, a glass of wine, a nip of scotch, or a fully realized cocktail. It's quite another to understand the science behind how it's made, why it tastes like it does, and why you're drinking it. Proof: The Science of Booze takes a look at alcohol production from a unique perspective, beginning with its discovery thousands of years ago, tracing its evolution all the way up to today's most modern liquor laboratories, and examining both the science behind its creation and the psychology and neurobiology that makes us like it. Best when read with a drink. Unless you've won a record lottery, were born into an incredibly wealthy family, or happened to be stranded on a chunk of land and have declared it your own empire (hey, it happens), odds are you're not going to be owning your own island anytime soon. But that doesn't mean you can't enjoy looking at them. Which is what The World of Private Islands is for. Curated by Farhad Vladi, this gorgeous book takes a look at private isles large and small, from small lumps of rock in the middle of lakes to extraordinary Caribbean retreats. Ideal coffee table material for aspiring supervillains moguls.